the goal of this meeting is to start the development of an organisational structure for PPUA that is sustainable and aids the development of PPUA over the coming years. The current organisation is mainly informal; tasks are handled by whoever steps up. Jared is PM, Dan vice-PM, Romina treasurer. The only officially registered aspect of ultimate in Cambodia is YUP, which is run by Rodwell. Yup used to run summer clinics with players from Seattle and has sent Reach to Seattle this summer. 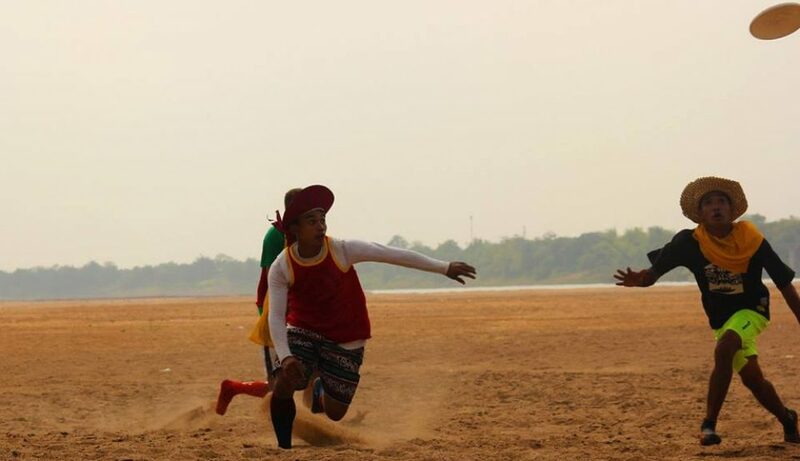 Jared plans to set up: (1) Growth Through Ultimate (GTU) which would be an officially registered NGO dedicated to fundraising for player development and (2) Cambodia Ultimate Association (CUA) which would be a country wide association so we can join WFDF. One of the suggestions to make PPUA a bit more organised is to hold (some) meetings in places that are more conductive to effective decision making than Aussie XL. It would be possible to meet somewhere else first and then go to Aussie XL. One possible neutral place is NISC before the Sunday games. Suggestions were made for meeting with smaller groups, if needed, for executive decisions, and then meeting up with all members later – when the most active board members are at least on one line. A huge obstacle in PPUA’s functioning is the split between SWA and PPUA. As with other meetings this issue was tough to tackle as no Swa representative was present. – Swa came out of YUP, which has broader goals (aligns with Rodwell Institute) and gives great opportunities to the Swa players. PPUA is ‘only’ a sports association without aspirations outside of having fun and playing good ultimate. Another obstacle may be the ‘party culture.’ many Swa players want to go to a tournament to compete on the field; not to do a ‘boat race’ or party outside of the field. For HAT tournaments (in Asia) partying is kind of a given, something we can’t change. Outside of that, it doesn’t seem like drinking/partying conflicts much with PPUA’s pick-up games. It was suggested that expectations should be managed; for team tournaments there may be a more competitive atmosphere, when (new) Swa players go to a HAT they should be made aware of what to expect and/or provided with responsible chaperoning as appropriate. None of this stands in the way of doing drills together on Sunday. All those present objected to the separation of Swa/PPUA on the Sunday drills before the game. It would be good for PPUA players to join Swa, as they train harder. It is possible that Swa feels they would be held back by the (on average maybe less fit) PPUA players. on a Sunday before pick-up, sit down with Swa for a meeting. Let’s propose at the least to do drills together, as that is seen as important by those present. We could also discuss and propose doing more together organisationally, but that depends on how Swa feels about that. The new ISPP fields are a bit further away and significantly more expensive. It would be $30 an hour normally or $40 an hour with lights, but there will be a discount if we have an ‘ISPP community member’ present. Another downside is that the field is only 30x70meter. After some discussion it was decided that Thursday may be a better day than Wednesday (to break up the week) and that a bit later would help for people coming from work. Flo will check this week if we can rent the BKK fields on Thursdays 6pm-8pm (18.00-20.00h). Since we’ll be paying for these fields, we should ask those who attend to contribute; same as Tuesdays. Field fee on both Tuesday and the other day (Thursday if possible) will be $3. We should ask Swa players to contribute, even if it is a nominal amount. Since those present weren’t sure what would be affordable for Swa, it was decided that the amount for the (small) contribution by Swa would be determined after meeting with some Swa players. $100 Sundays, Tuesdays, and Thursdays. The extra half an hour on Tuesdays would be on a case by case basis, but it was suggested that we pass around a hat whenever we do go for the extra half hour. addendum: it was later suggested that we offer an incentive for people to take the $100 membership in the form of a free disc or t-shirt from the pile left over from BPPPH 2015. To be followed-up with Jared! – Jared/Romina will do another session to recruit women. – ISPP is looking for an afterschool sports activity, this is an opportunity to recruit high school players. Jared will run this after school program, he just doesn’t know it yet. – Thursday or Sunday league. If on Sunday, have only two teams play while the other two teams play pick-up with any beginners who may have shown up. It was proposed that we get some ‘permanent’ trainers; people who would like to volunteer to do a couple of training sessions in a row on Sundays, so that we can work on something for a longer duration. Flo has spoken to someone who is interested in investing a substantial amount of money into setting up a disc golf league. It seems unrealistic that we get a ‘frolf’ league going, but let’s set up a tournament, like last year. Apparently Northbridge’s PE department bought the disc golf equipment used last year. Flo will follow-up with Austin to see if we can rent it for a day. The pros and cons for BPPPH in Jan. vs. March were outlined. It was decided that March is the better option for BPPPH 2016. -talk about food, venue, etc. possible solutions: having PPUA players pay in advance, offering others to pay online (paypal?) in advance, getting sponsors; we can fill up the shirt with sponsors. We discussed possible sponsors (Coca cola, local businesses) but who will sing and dance to make this happen? we have 3 PPUA ladies for sure: Romina, Lanie, Mayte. Da, Dan, Pete and Ian have all expressed interest. Celine, Leanne, and Christine are maybes.